High Wire Networks announced today, the appointment of Alan Burkhard as Vice President of Operations, effective immediately. In his role, he will oversee the expansive field operations and project management teams. 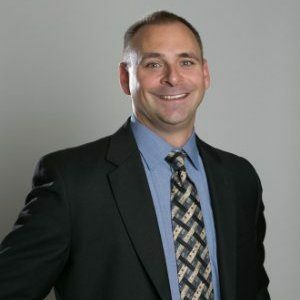 Burkhard has spent more than two decades in the telecommunications and technology industry, starting as a dispatcher and working his way up to Chief Operations Officer, having most recently served as President and COO of Call One, headquartered in Chicago. He drives large-scale organizational growth by finding creative solutions to outperform the competition. Burkhard is a proven leader and has experience in strategic planning, team development, contract negotiations, product management, network engineering and market development. Porter’s hire comes on the heels of restructuring the Company’s leadership team. Controller Karole Klose has been promoted to Chief Financial Officer. In addition, three directors have been promoted: Kim Stoltz– VP of Sales and Marketing, Nick Garifalis– VP of Solutions Architects, and Ruth Masley–VP of Managed Services and Technology. Wendy Hamm will report to Burkhard in her new role as Director of Project Management Organization. Burkhard resides in Wheaton, a western suburb of Chicago, with his wife Barb, and three children, Steven, Gwendaline and Claudia. He and his wife of 18 years are wanderlusters, who enjoy traveling to Europe. He is a military veteran. He served in the Illinois National Guard as a combat medic and EMT. Burkhard received his Master of Business Administration from Elmhurst College.